It is obvious that Empire stars Terrence Howard and Taraji P. Henson have a special on-air chemistry, that goes back to 2005’s Hustle & Flow. The two now play ex-husband and ex-wife on the hit FOX show Empire and Howard says the two have been “battling” ever since. In the latest issue of Emmy Magazine, the dynamic duo grace the cover and discuss their friendship and business partnership. “Taraji needs to have the last word, the last look, and I don’t know how to give up any ground,” Terrence explained. 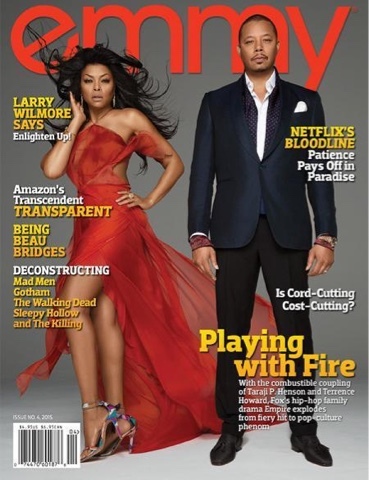 Created by Lee Daniels, FOX’s latest hit show Empire revolves around a powerful family in the music industry. 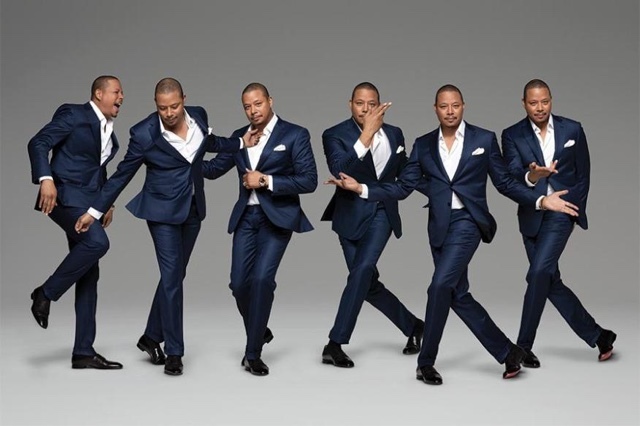 Music mogul Lucious Lyon (played by Terrence Howard), is a wealthy man who has been diagnosed with ALS and decides that his music empire needs a successor, while Taraji plays Cookie Lyon, the ex-con and ex-wife of the Lucious character. There three sons Andre, Jamal, and Hakeem all fight for the family’s legacy. Speaking at a recent panel in Los Angeles, Taraji has made it clear that she needs to win for African-American history because no other black actress has won for best actress in a TV drama series. “It would be incredible. Wow! I gotta win! I gotta win for history!” she said. The 67th Primetime Emmy Awards will air on September 20th on FOX.